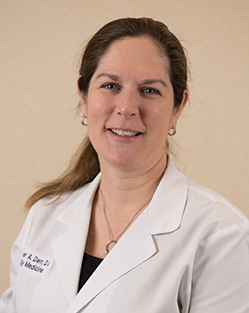 Doctor Ratley completed her undergraduate studies at Moravian College where she earned a BS degree in Biology, graduating with Honors. She later received her medical degree from the Philadelphia College of Osteopathic Medicine. Dr. Ratley completed her internship and residency at Warren Family Practice in Phillipsburg, NJ and practiced in Allentown, PA prior to moving South. She now lives in New Bern with her family.